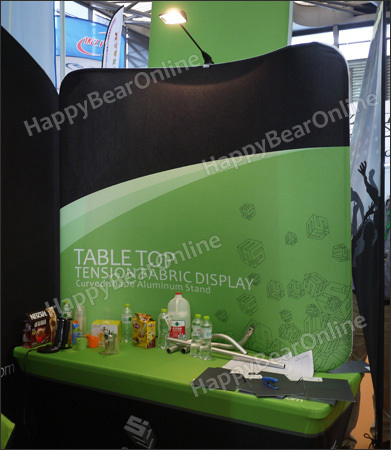 Tabletop Fabric Pop-up (Waveline) is a great solution when you have a extra table at the back. 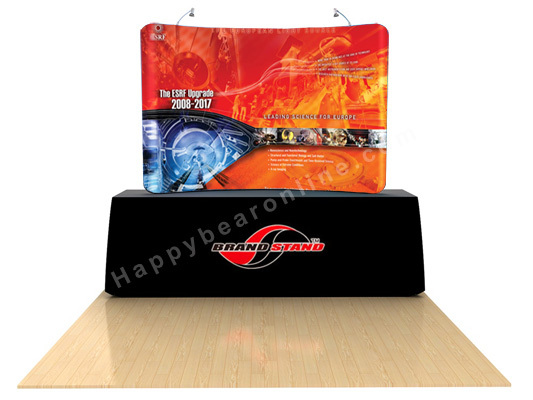 It's almost same dimension as normal popup when sit on a table, but more economic and easy to transport and assemble. 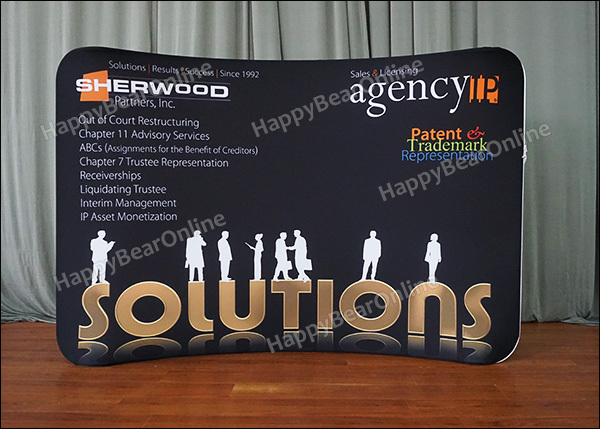 It is very durable and makes your display look great for years to come. . Dye-Sublimated banners (Replaceable) and strong aluminum frame wil make sure the Graphic Cube can be used as long as you own it.